From September 27 to October 2 (from 7:30pm to 9:30pm), we are having special promotion is called Dice Discount Campaign. 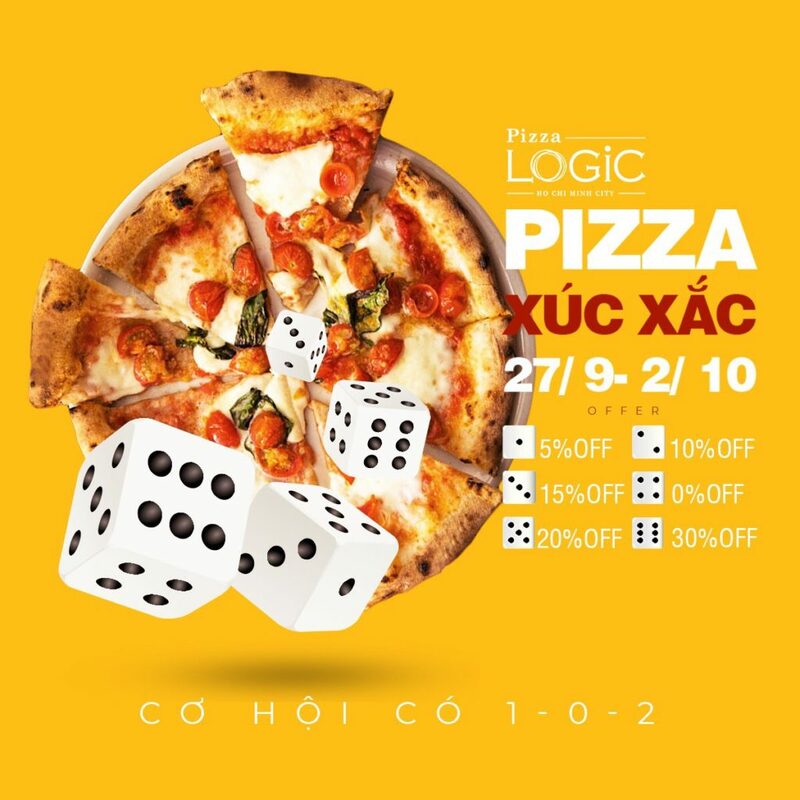 You can shake the dice 1 time per 1 Pizza then we will give you discount base on the number of dice. Try to dice campapgin !! We are looking for property information for opening a new store. Please introduce us when there are properties for stores. If you are a supplier of food / beverage please contact us from here. Please visit us with family, or with friends, on any occasion.We want to provide Ho Chi Minh City with good food and service.